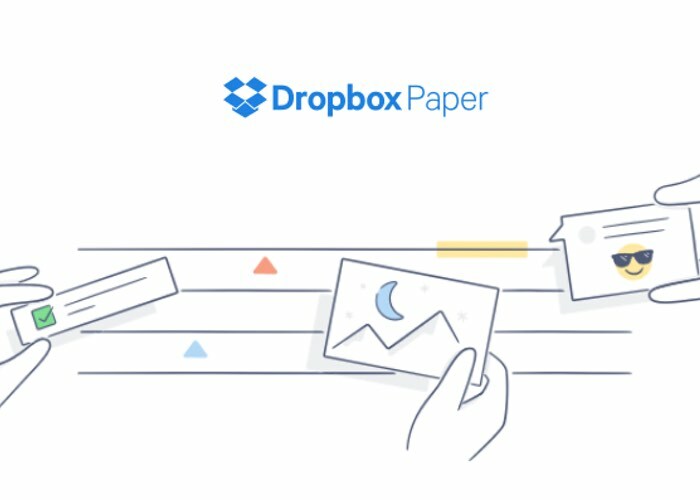 Today Dropbox has rolled out their new Dropbox Paper service that has been setup to ‘help teams to create and work together’ and provides another option available if the ones from Evernote, Google Docs, Box or others may not right for you. With more and more large companies offering their versions of cloud storage solutions, the latest being rolled out by Apple in the form of their iCloud service. Paper feels like a cross between Google Docs and Medium. It’s an ultra-minimal text editor—every new document offers space for a title and a body, and nothing else to look at. You can add images, too, dragging and dropping them around the page or making one full-bleed on the page with a single click. If you write lines of code, it’ll automatically format and style them as code. Or create a to-do list, and assign tasks to other people by @-mentioning them in the document. The big upside here is search. Dropbox is really good at file search, and by putting everything in Paper it gets even better. You can search the content of documents, the documents attached to those documents, and all the way down the list. If you fancy trying out and taking part in the beta testing jump over to the official Dropbox Paper website where you can login using your existing Dropbox account if you already have one.